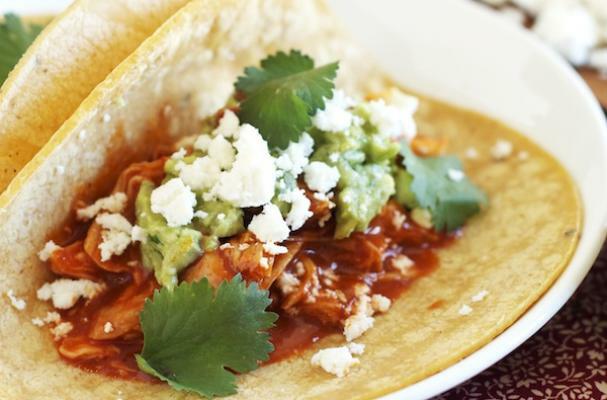 If you are throwing a Cinco de Mayo party, these slow cooker chicken tacos from Set the Table are a must-have on the menu. This meal is great for a crowd because you can make a large portion at once. The chicken, enchilada sauce, and beer are placed in a slow cooker and left for at least six hours for all the flavors to get to know each other. Serve these tacos with your favorite toppings including guacamole, queso fresco and freshly chopped cilantro.